In a desire to be as closer to the center of attention as possible, more people opt for choosing some of the central Manhattan neighborhoods. But as relocation is not the simplest task, professional Soho movers come to the stage as the best solution in this case. Additionally, finding the appropriate housing within your budget reach is no piece of cake. With all the fine services our professional moving company offers, you will realize that you will not only save a lot of time but will also go through the entire process stress-free. Your Dumbo Moving & Storage NYC Soho movers are at your service. Contact us today or get a free moving estimate right now on our website! You may or may have not moved so far, but you are certainly familiar with all the perks of relocating. It is almost impossible not to mention that the relocation process is very tedious. It requires a lot of time and careful planning. During this time, a lot of people fall under pressure and are overwhelmed by stress. On the other hand, everything looks a lot simpler with the right moving crew. Soho moving company offers you the most prompt local moving professionals in NYC, willing to bring all the knowledge and skills to the table. Our knowledge gives us the leverage to exactly anticipate the course of your relocation. This is just one of the ways we make this whole process easier. In addition to all of this, you can make sure that we will always be there for you as your satisfaction means a lot to us. Operating locally for many years has given us the chance to get to know the area like the palm of our hand. For you, this means that the relocation will go fast. We know all the streets and are able to find the fastest route, avoiding traffic jams with ease. As we easily take care of your relocation, you can continue to take care of your daily tasks and life. We believe that this will much lower the level of stress. You will see how much more content you will be and ready to settle in your new neighborhood and home. So, in order not to handle every moving-related task and think about every detail, be free to contact Soho moving company who will be happy to do it all for you. If you decide to entrust us your precious items to pack and transport them, you will get a top-notch moving service. We want you to feel safe while doing business with us. This is why the first thing we will do is to construct a plan that will work the best in your situation. You see, we know that every relocation is unique for itself and that there is no universal recipe. Your relocation will be taken seriously. Moreover, the whole situation will be perceived by all the angles. After that, we will come up with a tailor-made plan. 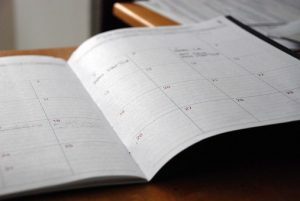 It will include precise details with exact deadlines. What we need from you is to respect the set dates as that will enable a smooth relocation. This is especially important if you are moving from another state, and you need the assistance of licensed interstate movers NYC offers. Should it come to the change of plans, we kindly ask you to inform us about it timely. That will give us the opportunity to implement the changes without disturbing the timeline. 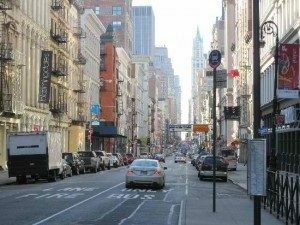 What else to expect from Soho moving company? A transparent way of doing business with our clients. The only way to have a successful relocation is by doing business with the real professionals from this industry. Our Soho movers are precisely those people. With all the highs and lows, we have managed to become noticeable and a number one choice of many people who wish to move to or from Soho. Soho is a neighborhood in downtown Manhattan. Originally it was an industrial area, home to sweatshops and small factories, with high crime rate, but today SoHo is a charming, fancy, trendy and very expensive neighborhood. During the sixties and seventies, it was a real wasteland. It was once home to many artists residing in cheap, but huge lofts, which were converted industrial spaces. And artists are the ones who moved first into this area and created the neighborhood everyone knows today. Soho is a classy and wealthy neighborhood, and if it is within your price range, then it is the right place for you. Over the years we have had the most wonderful relationship with our customers. Putting all our attention into a successful relocation and making it easy for them is what they most appreciate about us. There is no moving task we cannot respond to and we are proud of the achievements we’ve had throughout all these years. We are completely customer-oriented and we make sure you know it! That is why we invite you to address us whenever you feel necessary. We will be happy to answer all of your questions and resolve doubts. Quickly, efficiently and with no mistakes. That is our way! Give us a call today and make an appointment with our moving representative. Determine all the details of your relocation, and let our Soho movers do what they are the best at.